OATA’s Chief Executive has been invited to sit on an international group looking at how the home aquarium industry can help protect the environment and prevent poverty. The International Union for Conservation of Nature (IUCN) has created a new Home Aquarium Fish Sub-group and invited luminaries from across the globe to join its steering committee. The group is chaired by Scott Dowd, a senior biologist at the New England Aquarium in the US who also helped spearhead Project Piaba in Brazil building a sustainable industry in cardinal tetra fish. The sub-group is part of the IUCN’s Freshwater Fish Specialist Group. The group has big ambitions for the future – including an idea to harness the inspiring power of public aquariums to encourage people to create their own home tank. The group’s inaugural meeting will be at May’s Aquarama event in Singapore where it will agree a consensus statement and mission statement for the group, which is likely to outline the group’s view that the home aquarium industry can play an important part in protecting the environment and help to lessen poverty. It will also launch work on a White Paper which will include case studies from around the world showing how the home aquarium industry is providing environmental and socio-economic benefits to the communities that catch fish. And it has ambitions to work with public aquariums around the world to develop a programme that uses these organisations to educate and inspire the visiting public about keeping home aquariums and how to choose fish that support communities involved in sustainable management. “It’s very flattering for a small UK-based organisation such as OATA to be invited to sit on this international group which is dealing with an issue we’ve been researching ourselves so there’s a lot we can contribute to this group,” said Chief Executive Keith Davenport. “We know that live fish sold to the home aquarium industry are more valuable than dead fish caught for food and we know, from organisations like Project Piaba, that this industry can help to protect environments such as the Amazonas by providing livelihoods. 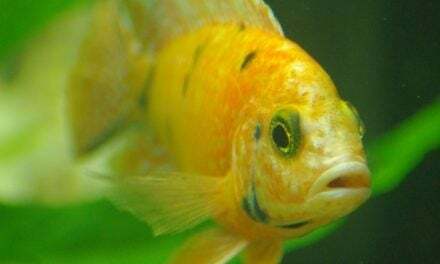 “In an atmosphere of increasing antagonism towards keeping exotic and wild caught pets – which includes ornamental fish – it’s vital we start to show that keeping fish is not a ‘bad’ thing to do. There is a place for wild caught fish – not all species kept in marine aquariums can be captive-bred for example – and we need the industry and hobbyists to realise they can be contributing to feeding families who don’t have a lot of alternatives.